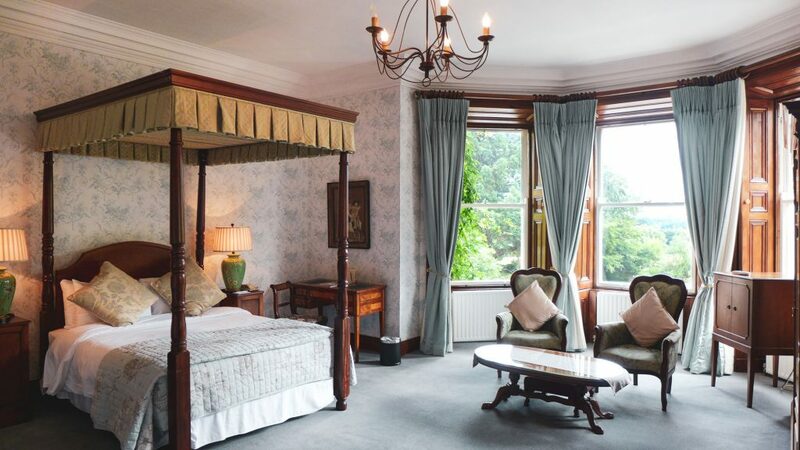 Tinakilly Country House Hotel accommodation offers 51 luxurious and spacious bedrooms in true Victorian period style consisting of 16 Deluxe Bedrooms, 31 Junior Suites and 4 Captain Suites. The Captain Suites are among the largest rooms available, featuring antique furniture, king size beds and very large sitting room areas. Many of the Captain Suites enjoy incredible views over the gardens to the Irish Sea and beyond. 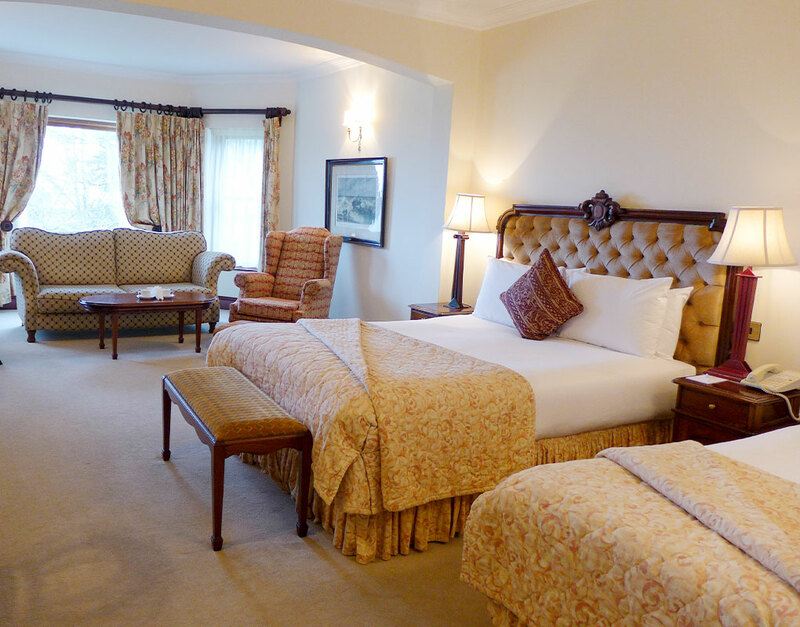 The Junior Suites are very large rooms with picturesque views over the Irish Sea or our mature landscaped gardens. 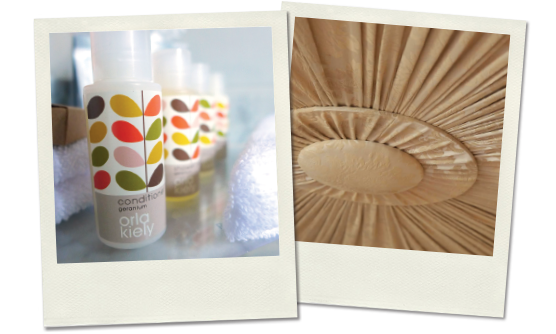 Many Junior Suites feature king size and single beds allowing for three guests or ideal for a small family. 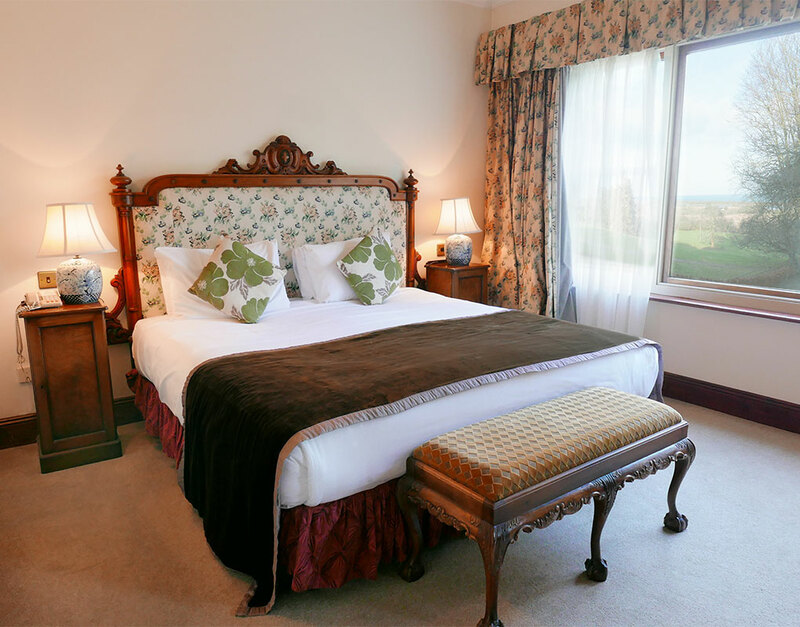 The Deluxe bedrooms are all beautifully appointed with antique furniture and feature breath taking views over the gardens or the Irish Sea. They are large comfortable bedrooms featuring king size or twin beds and are decorated in keeping with the Victorian theme of the hotel. 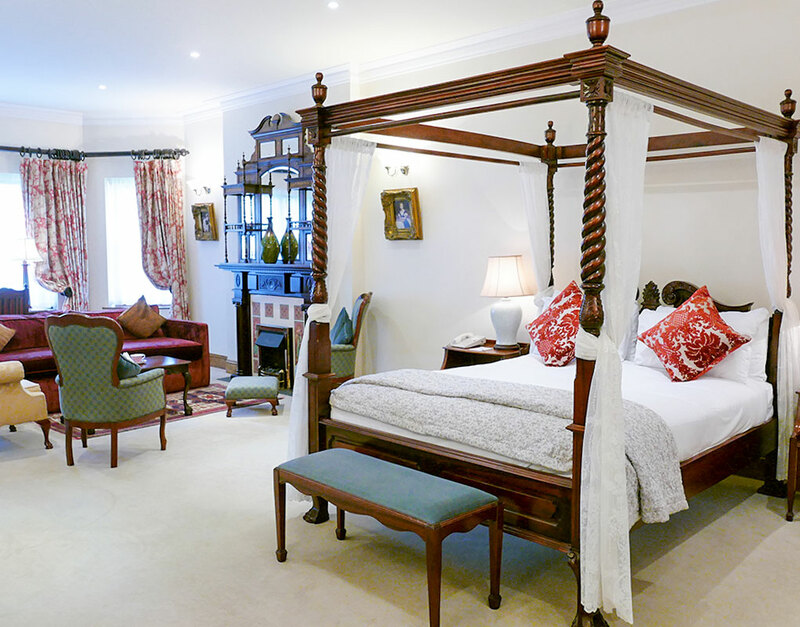 The Four Poster Junior Suites are very large rooms with picturesque views over our mature landscaped gardens and luxurious four poster beds. 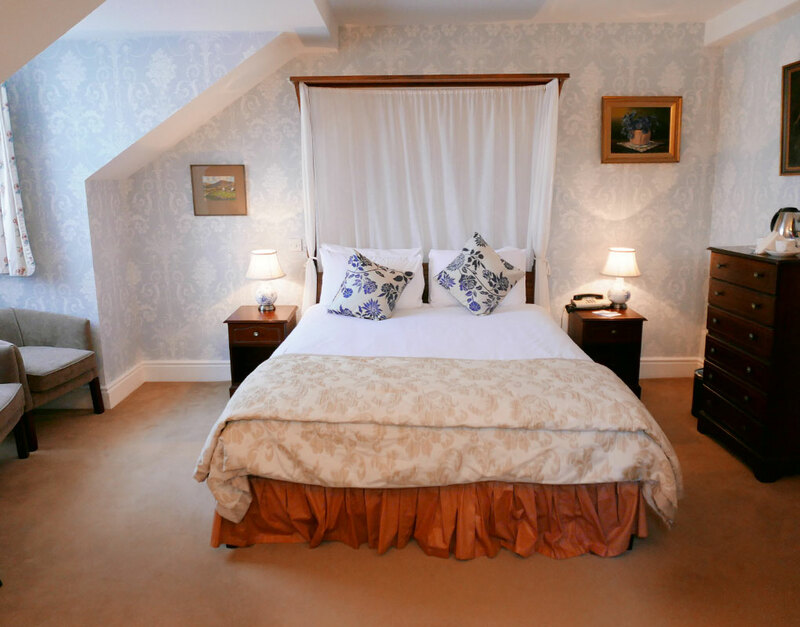 The Robin’s Nest rooms are our smallest cosiest rooms at the top of the house, with half tester beds, all ensuite, and individually decorated with antique furniture and modern amenities. Most have sea and garden views. 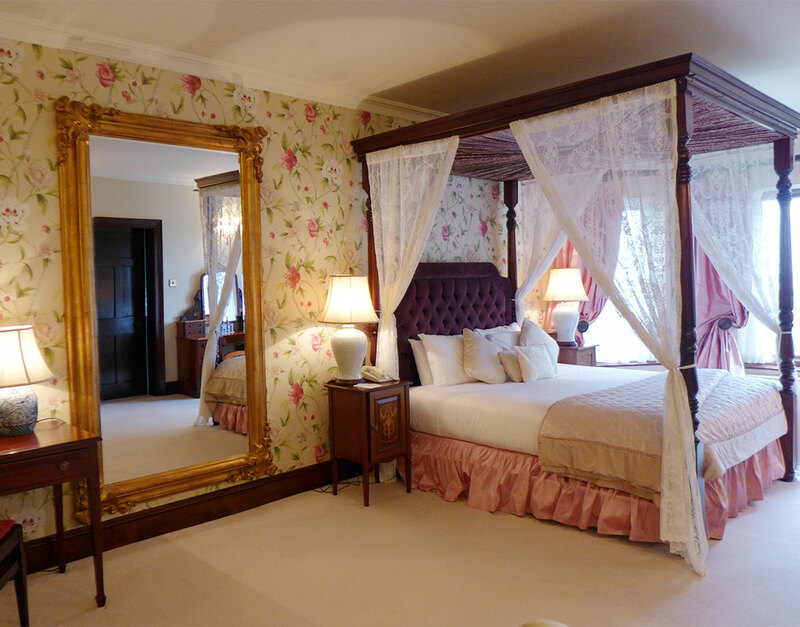 The Bridal Suite is a large, spacious room with beautifully appointed antique furniture, huge mirrors and a 4 poster king size bed. The suite features breath taking views over the Irish Sea and has a fireplace to relax by.